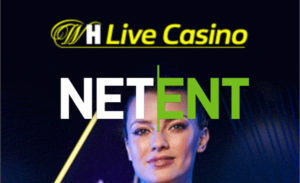 William Hill, traditionally at the forefront of providing an innovative live casino experience for players, has added live casino games from NetEnt. 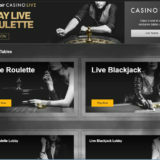 This increases the number of live casino partners William Hill is working with to three. 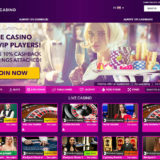 They now offer live casino games from Playtech, Evolution Gaming and NetEnt. The tables and games from Evolution gaming still dominate on the website. Although there has been some reorganisation going on with their live dedicated tables. A whole range of thier exclusive tables and games has been replaced with new range of branded William Hill Tables. 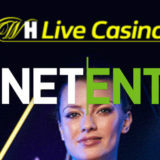 The Playtech Live Casino stays as is, while the Netent games have been added into the main live casino lobby. What Games have been Added? NetEnt has two live casino games, Roulette and Blackjack. Roulette is by far the most popular of their games. Blackjack comes with two options, 7 Seat and Common Draw. The games are accessible from the William Hill Live Casino Lobby. 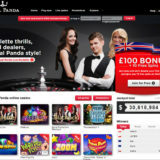 The addition of NetEnt games is part of an ongoing strategy from Netent to target the UK Market. This integration is seen as an important step in increasing their footprint in the UK. “I am very proud that William Hill has selected NetEnt for the delivery of Live Casino network tables. Having our games with one of the biggest live casino operators in the world is a great recognition of our Live Casino product. I’m certain that William Hill players are going to enjoy our games and the new features it brings”.